DoubleUps Split Comforters - Our patented DoubleUps for Beds split comforters offer independent movement and freedom while still connected toward the foot of the bed. 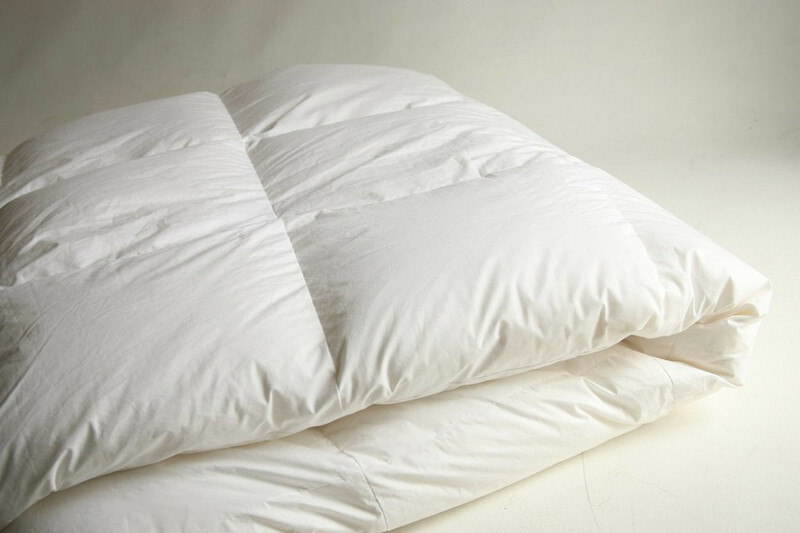 Enjoy optimum comfort without competition, regardless of whether you prefer your comforter tucked under your chin or tossed aside in the middle of the night. Cotton Comforters and Bedspreads - Our Cotton Comforters and Bedspreads provide an elegant finish to DoubleUps for Beds product. Comparable to a Coverlet or a Coverall. Down Comforters - Our deliciously cozy, down comforters are designed with Box Stitch Construction that enhances the loft and prevents down from shifting, providing for a more peaceful night's sleep. Oversized Comforters - Our soft and cozy over-sized comforters accommodate premium, 18" or deeper mattresses while providing optimum comfort.